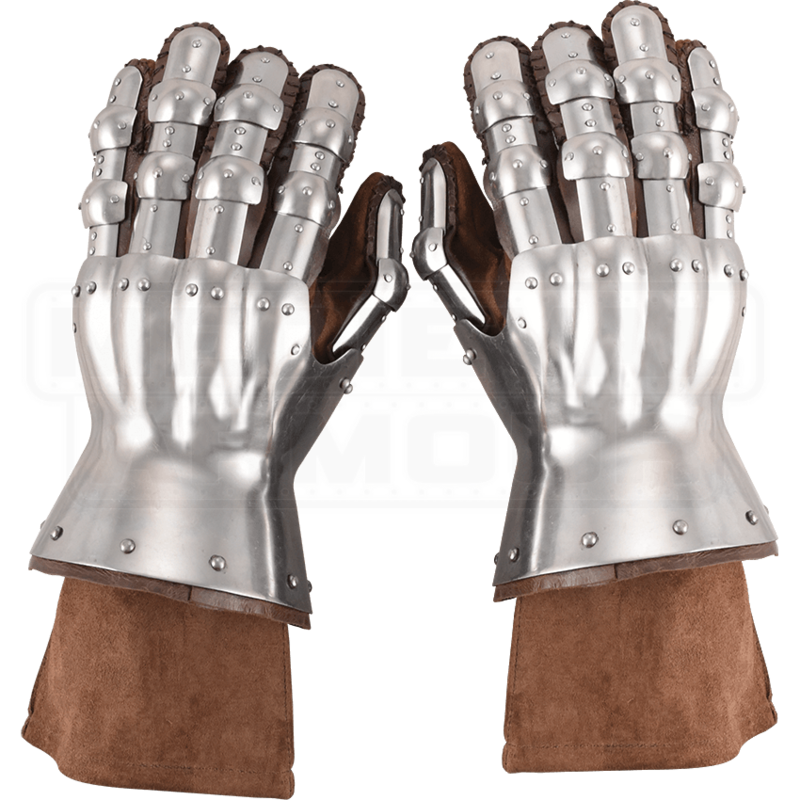 Stay protected during battle, even down to your fingertips, with the Steel Churburg Gauntlets. These short gauntlets are articulated, so each digit is covered with a series of metal plates connected to an hourglass style cuff. The 14th Century Hourglass Gauntlets feature an hourglass-shaped cuff that helps protect the wrist and back of the hand. Several plates guard each of the fingers, which include leather rings to help keep them in place when worn. 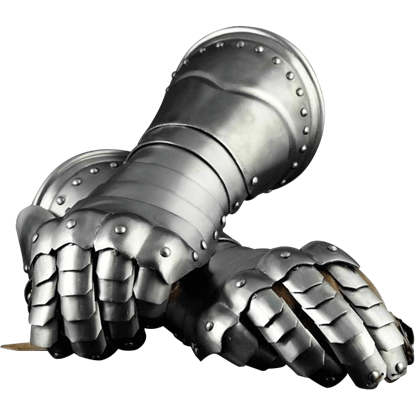 Virtually every piece of armor had some importance to a warrior, although the gauntlets had a special significance. 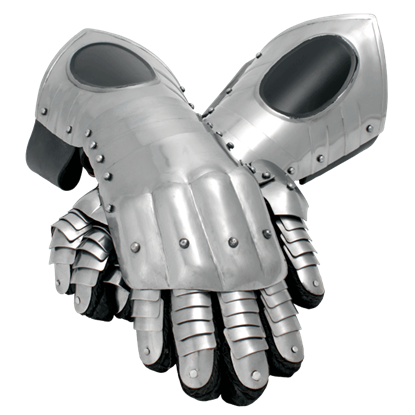 After all, Steel Gauntlets are ideally suited for protecting the hands without limiting their range of movement. 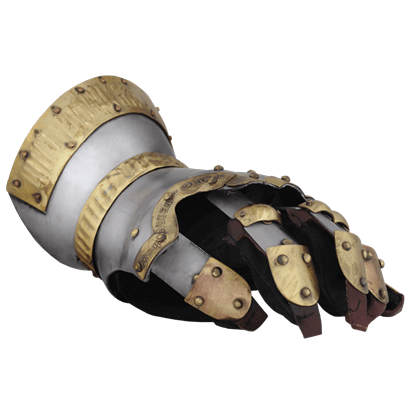 These gauntlets are some of the finest available and are made to complement the Armour of Churburg (AB0072). 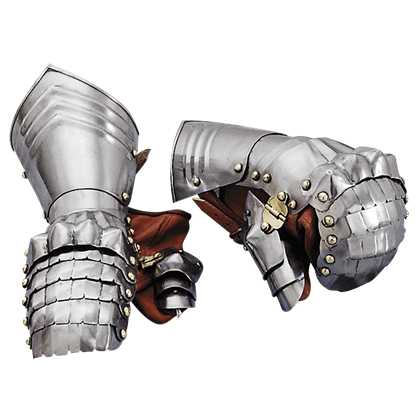 The gauntlets are believed to have been made in Milan by armorers of the Missiglian family during the 14th century. 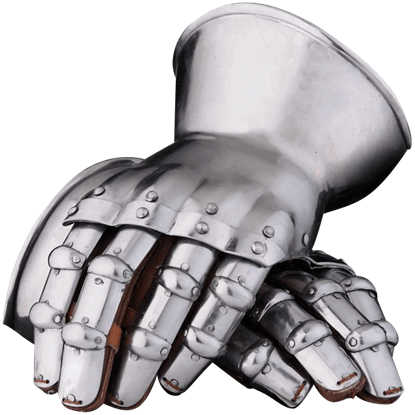 The hand is particularly vulnerable in close-quarters combat, and so the medieval gauntlet became an important piece of armor. 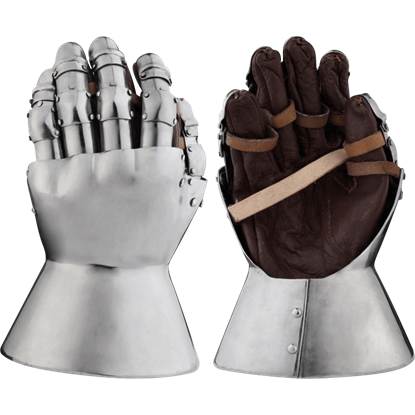 Medieval Mitton Gauntlets, like these, were of use to warriors who wanted their hands to remain protected. 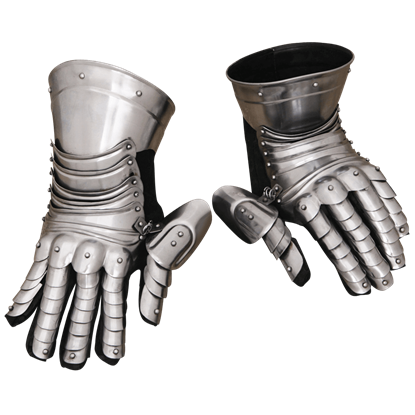 Offering excellent protection for historical re-enactments, the 15th Century Italian Style Gauntlets have great flexibility with the articulated wrist and fingers. A leather glove provides additional protection and comfort. More-so than his weapons, a warriors hands were his tools, as they allowed him to deftly wield weapons in battle. 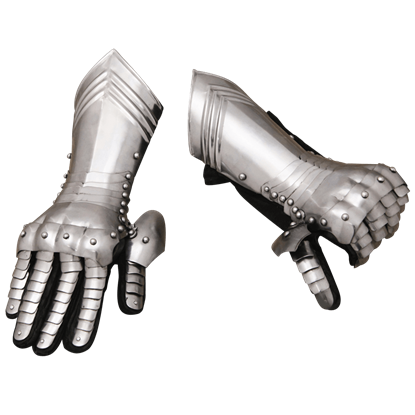 These Medieval Gauntlets were designed to provide protection to the hands, while leaving dexterity intact.